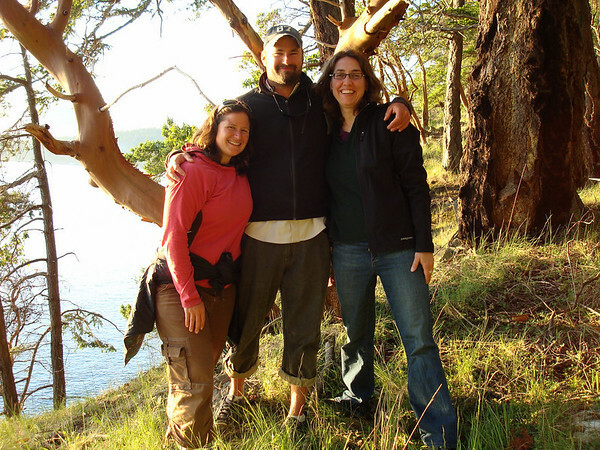 Our friend Alison has been telling me for years about her place on Obstruction Island, just south of Orcas Island. As luck would have it, she was going to be out there this weekend so we arranged to meet up at her island (it's not all hers but I like to think it should be). 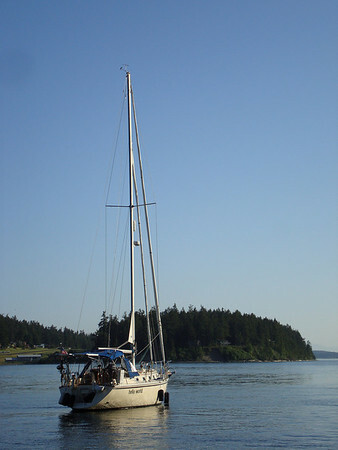 So we motored back through the interior of the San Juans enroute to Obstruction Island. We grabbed a mooring bouy that belongs to all the property owners on Obstruction Island as there is no great place to anchor. Obstruction Island has but one road but generally no vehicles. There's no scheduled ferry service, no stores, no services, no Chinese food. It's just woods, ridiculous views, and around 25 to 30 houses. Alison's place sits on a cliff on the western edge of the island looking out over Rosario Strait and directly into the sunset. 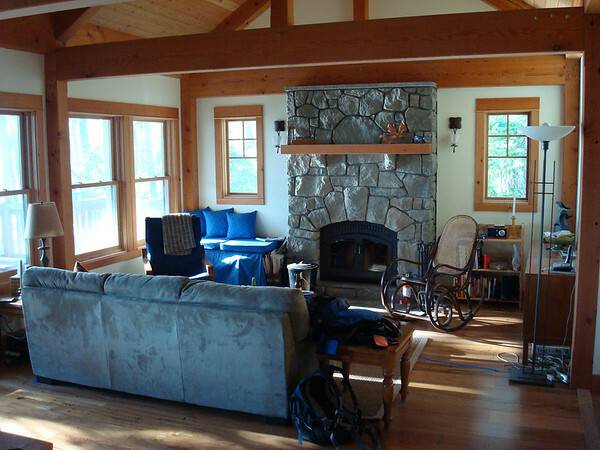 She has poured a ton of effort into her cabin and it's a stunning place to be. It's remote, quiet and beautiful. She did most of the interior work herself. Christy and I hung out for the day with Alison and her friend Audrey, mostly soaking in the sun on the balcony. We also availed ourselves of her shower facilities, thankfully. After a great dinner and fresh baked cookies, we walked around the island and back to the boat. While walking down the dock, we watched a family of otters playing in the eddie. Then a seal hanging out in the current. And to top it off, a bald eagle swooped right over our heads and landed in a tree on shore. I cannot get enough of this wildlife. It just never seems to get old. Hello World lying to a mooring bouy on the south end of Obstruction Island. The three of us hanging out on the bluff on the edge of Alison's property.